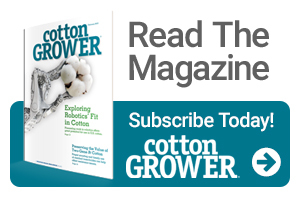 The National Cotton Council (NCC) welcomed the USDA announcement. According to USDA, the pink bollworm was first detected in the United States in Hearne, TX, in 1917. By the mid-1950s, the pest had spread to surrounding states and eventually reached California in 1963. In 1955, USDA’s Animal & Plant Health Inspection Service (APHIS) established domestic pink bollworm regulations. At the height of the program, 10 states – Arizona, Arkansas, California, Louisiana, New Mexico, Oklahoma, Texas, Nevada, Mississippi and Missouri – were quarantined for this pest. Many of these infestations were suppressed through cooperative federal, state and industry programs. By 2003, only Arizona, California, New Mexico and Texas remained under regulation.